It may be unusual, but I love my last name and I’m very proud to be part of the Hrkach family. With such philosophies, this book has the potential of touching many hearts with its message of service and love (and I’m certain it already has). Each chapter begins with a relevant and beautiful biblical quote, then a teaching, followed by a personal reflection (including the author’s experiences with family life, a difficult divorce and the traumatic story of how she happens upon the scene of an accident) and finally, information and questions for the reader. The chapters include essential topics such as “We Are Loved,” “Following the Holy Family,” “Accepting God’s Love,” Loving God Back,” “Sharing Jesus’s Passion,” and many more. This wonderful, award-winning book is filled with so many great quotes, not only from Scripture but from saints and others as well as from the author herself: “Before each of us was even born, we already began impacting the lives of others…” is so true and really is the basis for the respect and love of human life from the moment of conception. Fr. John Hardon’s quote “No human act is sterile. We are writing history for eternity,” is one of the many other powerful quotes the author utilizes. I highly recommend this wonderful, inspiring and beautiful book to everyone, but most especially to those who wish to understand their own personal apostolate or mission. Many thanks to Therese Heckenkamp and Traditional Catholic Novels for this outstanding review of In Name Only. In Name Only reads true to life, with crosses, temptations, blessings, redemptions, and happiness. Despite how it sweeps you in, this is not a light and airy romance novel; it has substance and does not skirt serious issues, nor rely on graphic “love” scenes to hold your attention. Indeed, it depicts true love. The preciousness of life—particularly of the unborn—is emphasized. In addition, In Name Only illustrates the weakness of human nature, the far-reaching consequences of giving into temptation, and the power of forgiveness. Serious issues involving abortion, chastity, conversion, and marriage are dealt with skillfully. Due to such mature themes and subjects, please note that this is not a novel for young teens. One other warning: You may need a box of tissues. But your heart will glow at the story’s end. In conclusion, this is the the best book I’ve read in a long time. It has all the qualities that make for an outstanding, memorable novel—and it’s Catholic as well! I highly recommend it! Lisa Mladinich’s new book “Be an Amazing Catechist: Inspire the Faith of Children” is an extraordinary booklet filled with colorful illustrations and photos interwoven with helpful tidbits, relevant biblical quotes and various references and websites. In fact, it has everything a Catholic catechist would need all in one book. Chapters include topics such as “Sharpen Your Knowledge,” “Mine for Gold,” “Run a Tight Ship,” “Sense and Sensibilities,” “Use that Bible,” and many more. The author includes a chapter on teaching kids with disabilities (written by Mary Lou Rosien) and another chapter which talks about utilizing puppets (Mladinich is also the creator and performer of original catechetical puppet scripts available at new.catholicmom.com/kids/puppet-ministry ). “The call to be an amazing catechist is really a call to conversion,” the author writes. This beautiful quote sums up this “amazing” book for catechists. Prayer is a common thread in all of the chapters and an essential element of being a catechist. “Teaching is a great way to learn,” is quoted at the beginning of the book and, as a homeschooling mother, I agree wholeheartedly with this philosophy. 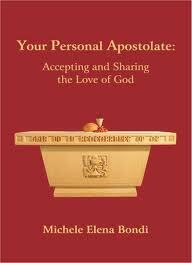 I love this book and will be using it not only in homeschooling, but also in my parish’s children’s liturgy program. 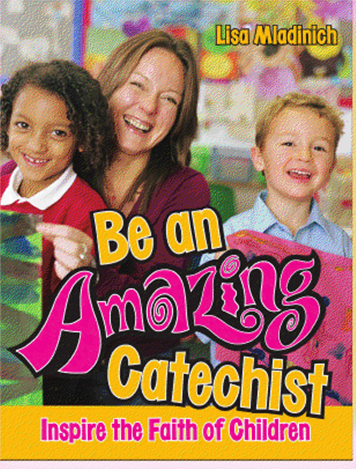 “Be An Amazing Catechist: Inspire the Faith of Children” is ideal for use by all catechists: whether you’re a novice teacher with no experience or whether you’re an experienced educator. This booklet may be small, but it is huge in information and packed with many, many ideas for teaching the faith to children of all ages. I highly recommend this remarkable book to anyone who teaches the faith to children: homeschoolers; parish CCD teachers, experienced educators and anyone interested in teaching the faith to children. Jim Bob and Michelle Duggar’s openness to life is receiving much criticism from the secular world. The Duggars and their family star in TLC’s “19 Kids and Counting.” Their 19th child (baby Josie) was born by emergency C-Section after Michelle developed pre-eclampsia. Their openness — despite criticism and pressure from many — is a refreshing change from the anti-life, anti-child attitude so prevalent in our world today. The fact is…they’re living debt free and they can afford (and want) their children. This change of heart came early in Michelle and Jim Bob’s marriage. Michelle was taking the birth control pill, but got pregnant despite it. Yet after she miscarried between her second and third month, the Duggars’ doctor told them that the miscarriage had probably occurred because she had conceived while still on the pill. The pro-life Duggars ceased taking the pill, studied the Bible, and decided that God considered children to be gift to be embraced rather than a burden to be avoided. The Duggars live debt-free in Tontitown, Arkansas, in a home that they built for themselves.